Elizabeth Essex » Romance So Good, It's Scandalous » Christmas Cookie Hop with the Ruby Slippered Sisterhood! I’m thrilled to participate in the Ruby Slippered Sisterhood‘s Christmas Cookie Hop. 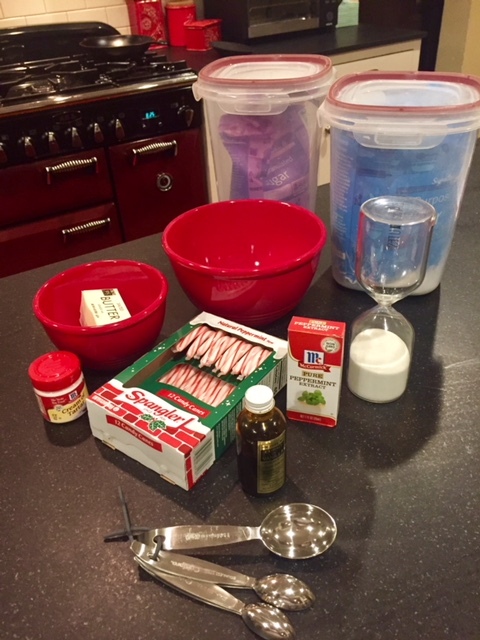 We here at the Essex abode are peppermint fanatics: we mark the start of the holidays as the moment when tins of peppermint bark are stacked in the stores, and seasonal peppermint stick ice cream lines the freezer shelves. ~ Preheat your oven to 350°F. Line cookie sheets with parchment paper. 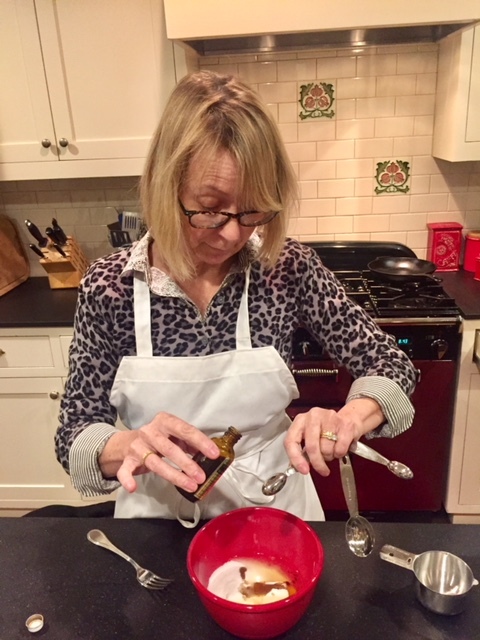 ~ Combine 3/4 cup sugar, butter, egg, vanilla and peppermint flavoring in bowl; beat at medium speed, scraping bowl often, until creamy. Add flour, cream of tartar, baking soda and salt; beat at low speed until well mixed. ~ Crush the candy canes by placing in a plastic bag and smashing up with a rolling pin or meat mallet. Stir 1/4 cup crushed candy into dough. ~ In a separate bowl stir remaining 1/4 cup crushed candy into 1/4 cup sugar. For a more sparkling affect, crush the candy canes more finely and mix with coarse grain sugar. ~ Shape dough into 3/4-inch balls; roll in sugar mixture. Place 2 inches apart onto prepared cookie sheets. ~ Bake 8-10 minutes or until edges are lightly browned. Do not over bake. ~ Cool 1 minute on cookie sheet; remove to cooling rack. Cool completely. Enjoy!!! 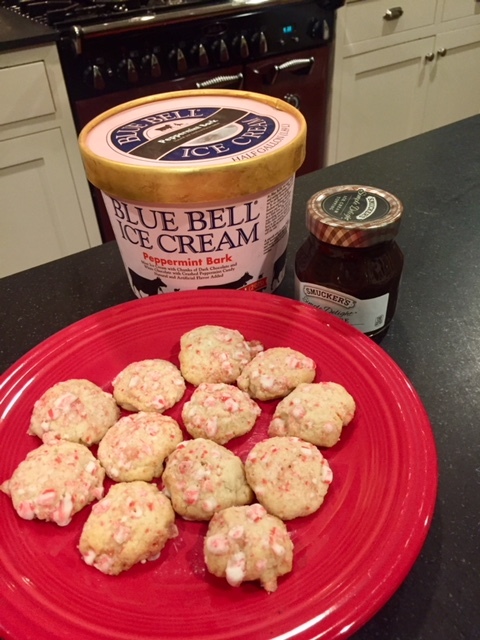 And if you want to eat these delicious cookies with a scoop of peppermint stick ice cream and a drizzling of hot fudge sauce you’ll have my favorite Christmas dessert of all time. Wishing you and yours a holiday filled with comfort and joy! Check out the other Ruby Slippered Sisterhood cookie recipes! Thanks for the recipe! They look so good!